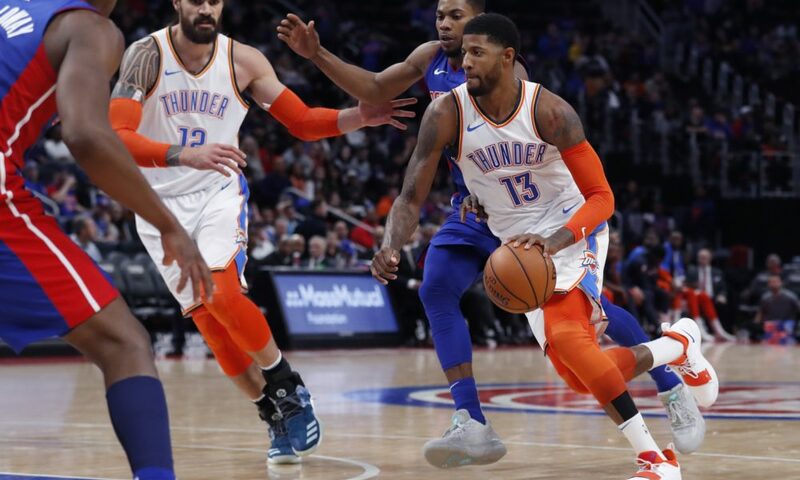 DETROIT, Mich. — The Oklahoma City Thunder (15-7) did everything they wanted and more in laying waste to the Detroit Pistons (13-8). 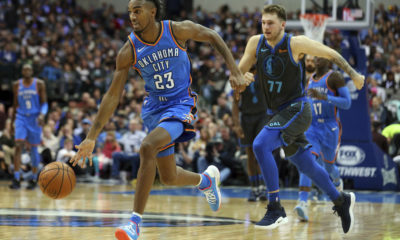 An early energetic performance from Jerami Grant and Terrance Ferguson — making his return since November 21st — set the foundation for the evening. 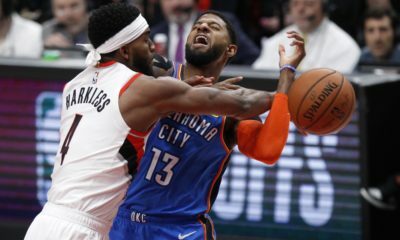 Oklahoma City had one plan: make life hell for the Pistons on the perimeter. Grant and Ferguson had a heavy hand in that plan. After missing four games, Ferguson showed little rust in contributing. Early in the first quarter, Ferguson received a pass at the elbow beyond the three point line. The second year player who was asked to assume more of a distributor role back in July dribbled towards the rim before passing out to an open Grant for a corner-three. Bucket. Grant made his first four shots and finished with 15 points. Ferguson missed his only field goal attempt of the game but finished with a career-high four assists. The defense led to the offense scoring at will. The defense kept Detroit from getting close. The Thunder held the Pistons to 33 percent shooting from the floor all evening. Both sides of the floor were clicking for Oklahoma City. 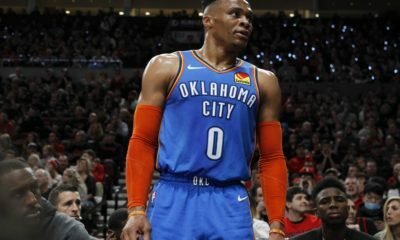 Russell Westbrook was the lone Thunder player who struggled in the first quarter. After a five turnover showing and some questionable shooting, Westbrook found his rhythm. Nothing was more paramount than his chemistry with Steven Adams. Adams was 7-for-7 from the floor before missing his first field goal. The Thunder big man found himself on the receiving end of some impressive Westbrook passes and a highlight-reel lob. Ultimately finishing 7-for-8 with 21 points while going perfect from the foul line, hitting all seven shots. Adams helped the Thunder dominate the paint 56-46. A 37-19 third quarter kept visions of the Pistons’ five game winning streak continuing far from anyone’s mind. Blake Griffin did all that he could from all over the floor. The former Oklahoma Sooner scored 20 points on 7-0f-18 shooting, including 3-of-8 from deep.